Move from room to room with the Nobo Barracuda Mobile Easel. This height adjustable easel has a sturdy five castor base for easy mobility and locking castors for stability when the easel is in use. 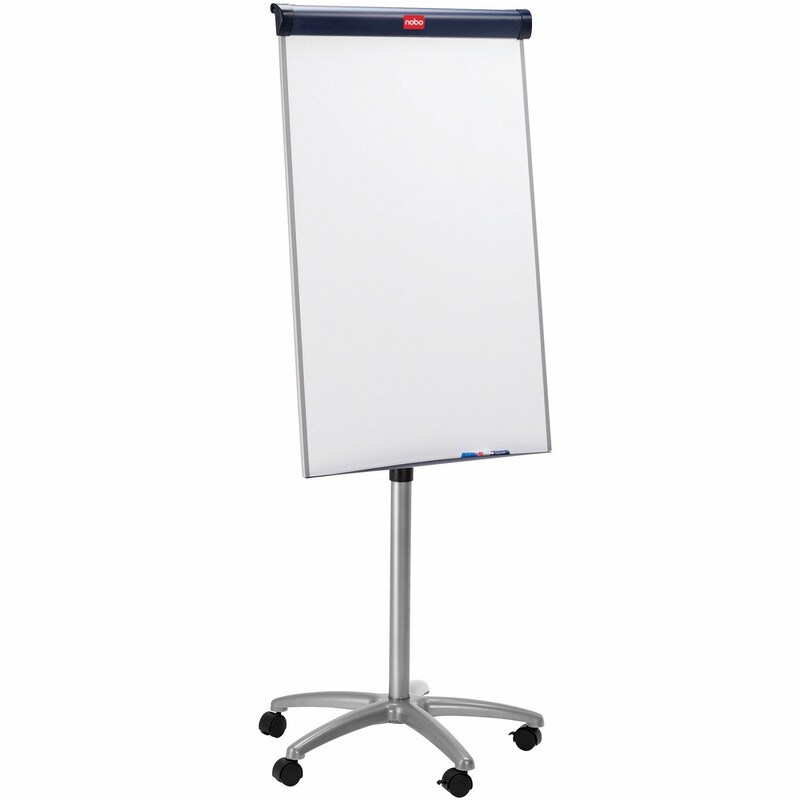 This smart mobile easel comes with an oversized magnetic dry-wipe board, ideal for making those extra notes. Moveable hooks fit various flipcharts.